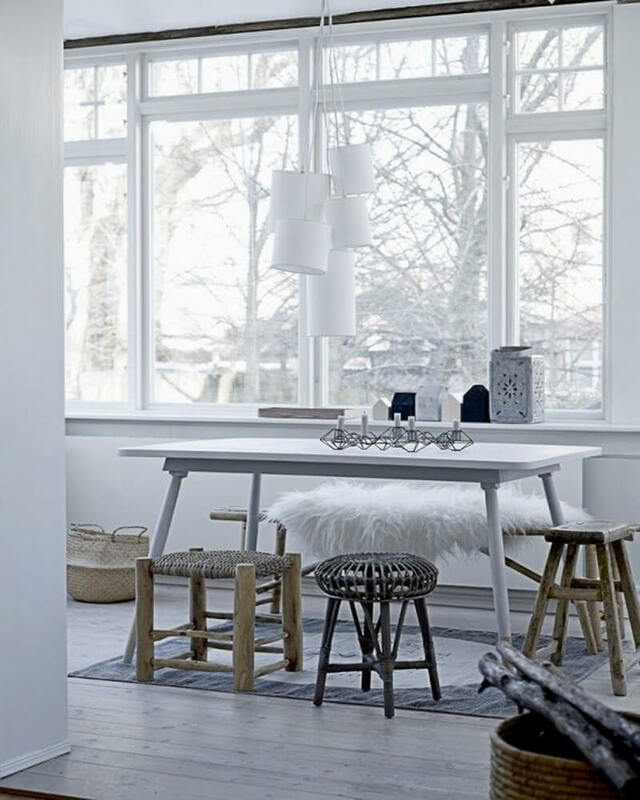 Scandinavian design is known for being calm, relaxed, harmonious while at the same time being incredibly stylish. 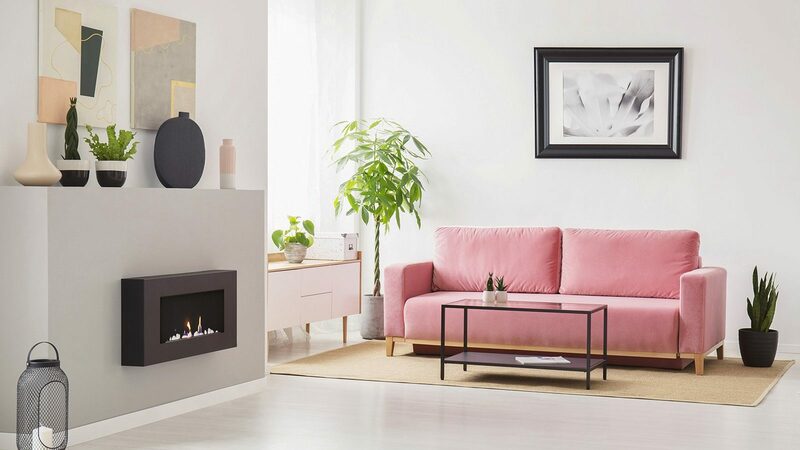 This type of design is a blend of casual, elegant, refined yet warm and welcoming appeal all combined in the same space. 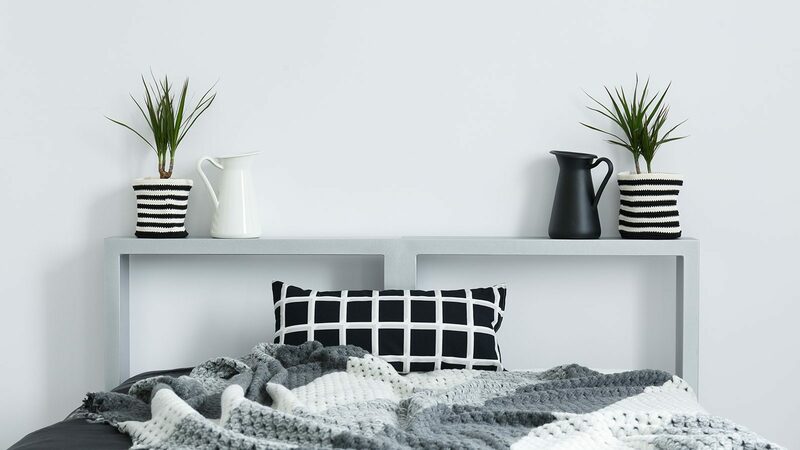 The most used color in Scandinavian design is white. 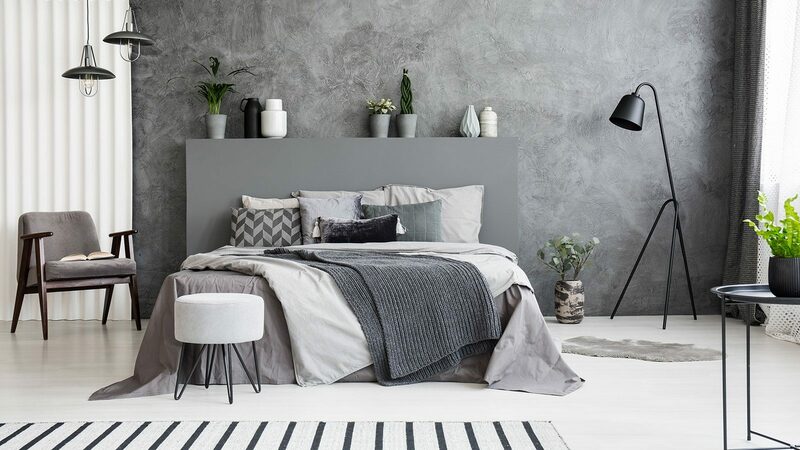 The white is usually combined with colors like black, grey or neutral shades to give a bit of a warmer look. 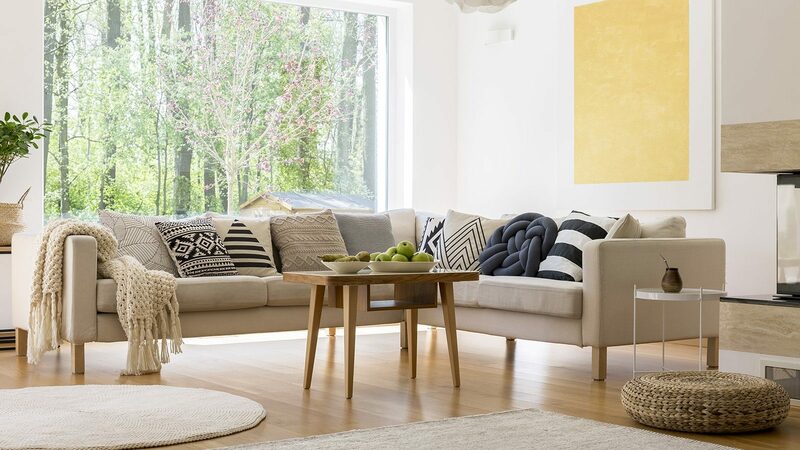 It’s always bright with simple furniture and accessories usually with a slight accent of some kind. 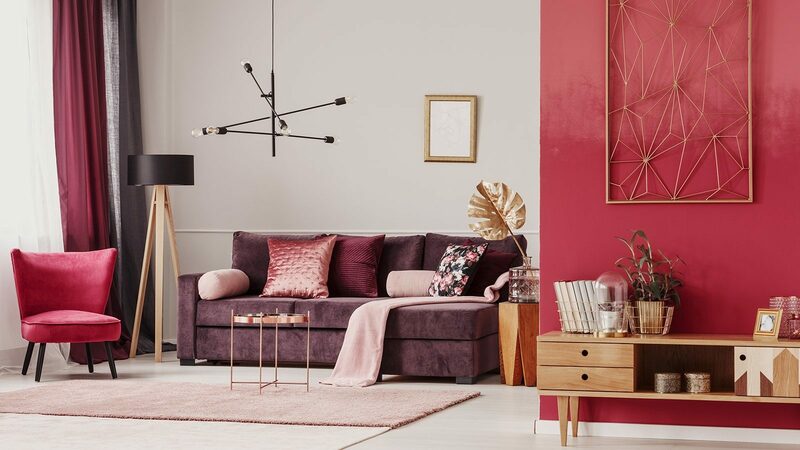 Scandinavian design looks absolutely gorgeous in any room but it has an extra special kind of charm in the dining room. This style makes the dining room look urban, cool and modern. 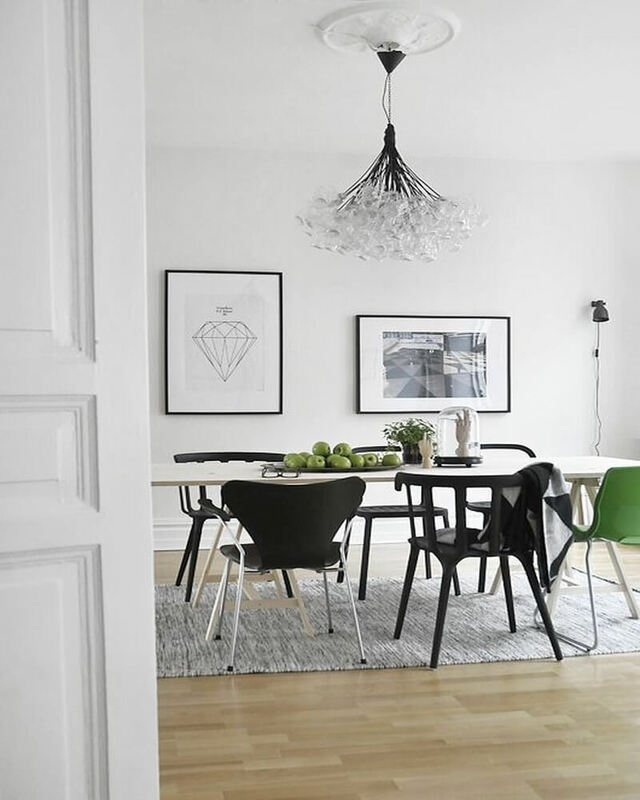 In this post we’ve selected several examples of beautiful dining rooms all in the Scandinavian style. 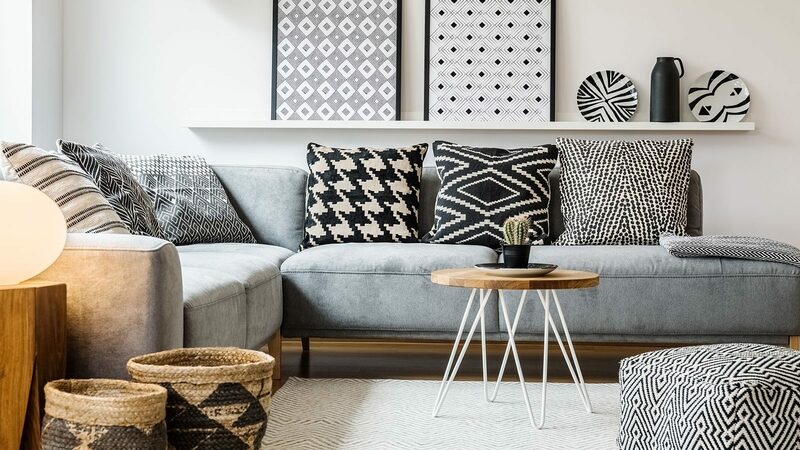 Check them out, get inspired and we’re sure you’ll want to implement this style in your own dining room. Read on and enjoy! This dining room has a cool, funky and urban look. It’s mostly white with some black accents, unique posters on the wall, awesome lighting and just a hint of green. This room is full of vibrant, young-spirited appeal. 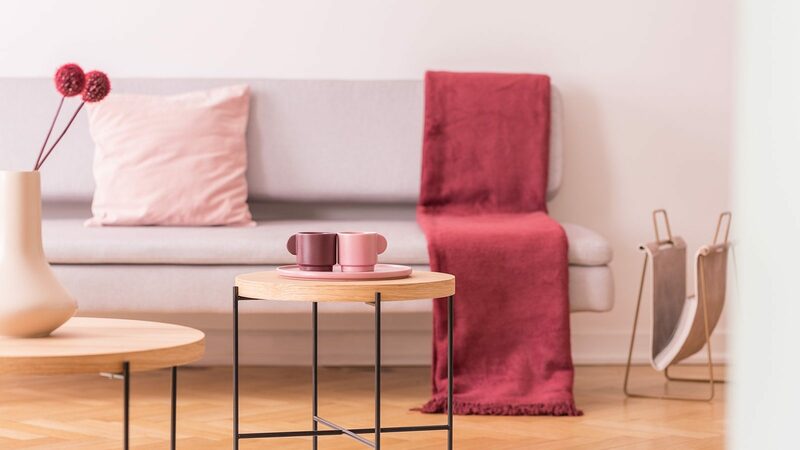 Mixing different designs for the chairs at the same table is a technique that Scandinavian interior design is famous for. This dining room is so bright and so gorgeous. We love that interesting light fixture, the unique and different design of the dining chairs, plus that bench! 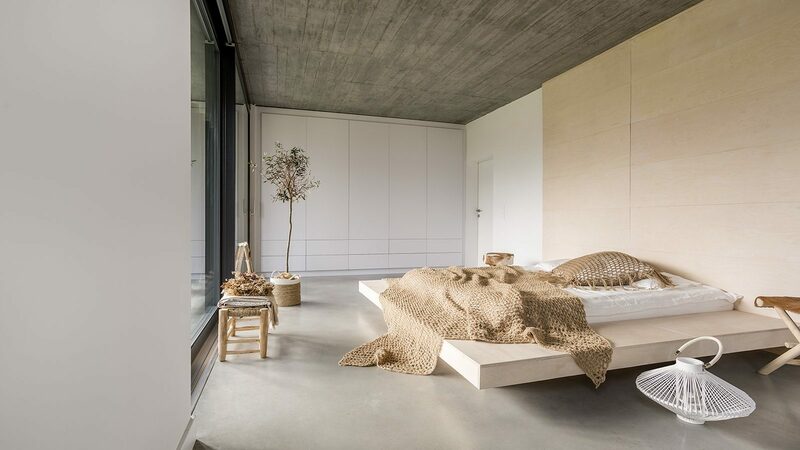 The whole room is full of eye-catching details. 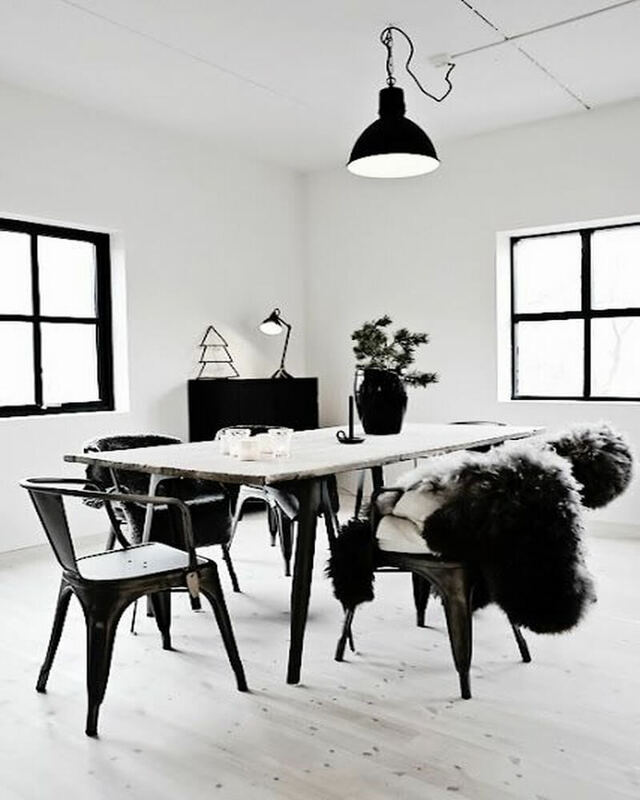 This dining room mixes modern white and black design with rustic wooden furniture, another signature of Scandinavian interior design. The result is absolutely stylish and beautiful. The rustic elements mix perfect with the monochrome colors creating a cool and casual place to eat. A white and black color palette? Check! Different designs for the chairs? Check! Unique light fixture? Check! Modern photos on the wall? Check! 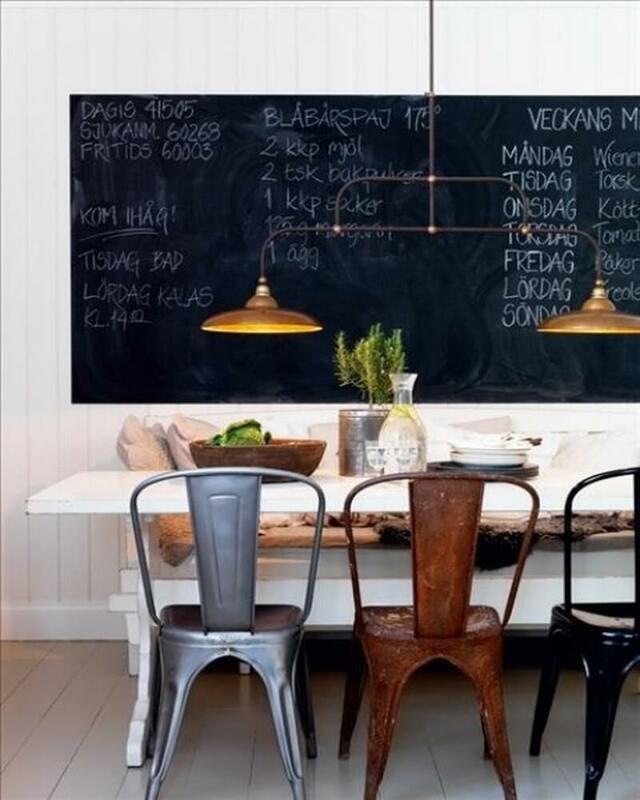 This is pretty much the perfect recipe for the perfect elegant Scandinavian dining room design. At first glance this is a typical dining room with simple furniture and natural wooden accents. 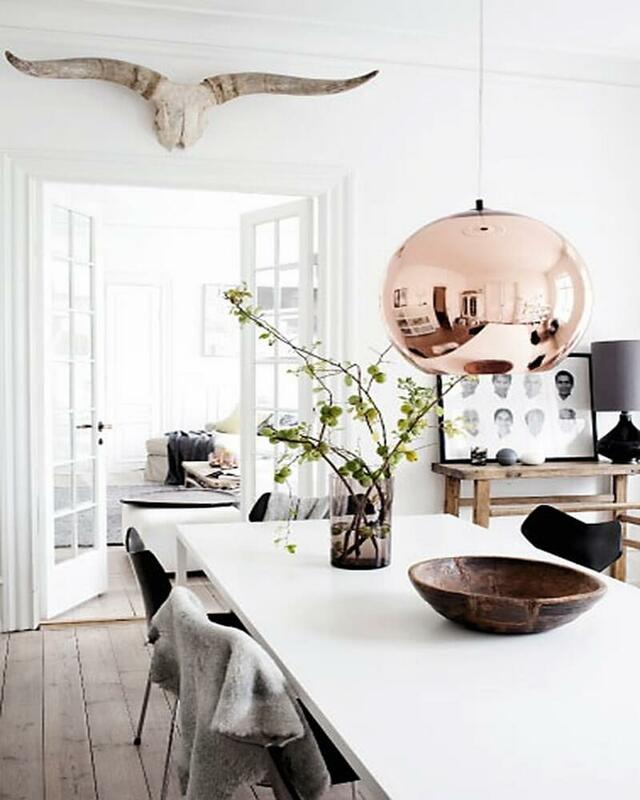 However it’s complemented with some amazing eye catching details such as that rose-gold metallic pendant light fixture or the animal skull up above the door. The touch of green is always welcome too. Absolutely gorgeous! Using a different design for your chairs is a cool and easy way of making your dining room feel effortlessly cool and urban. 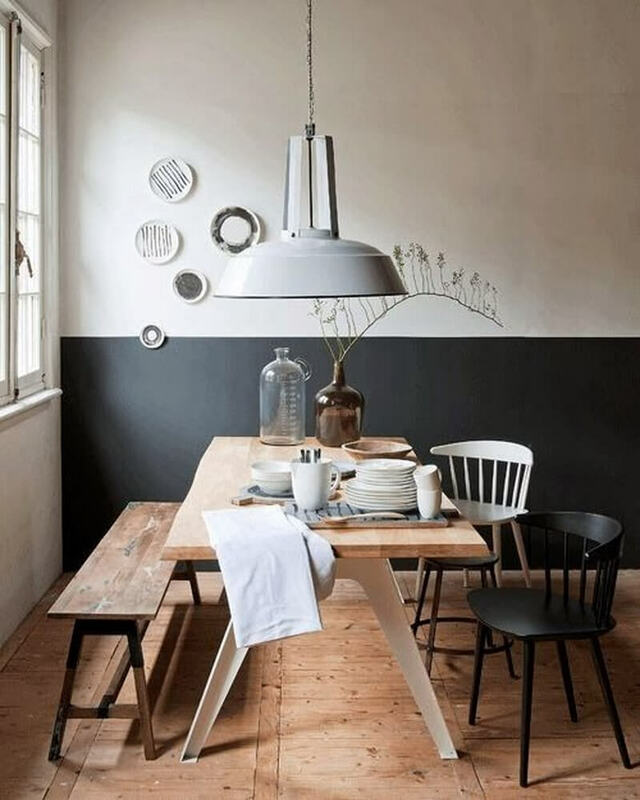 Add in a large chalkboard on the feature wall plus some pendant lighting and you have a beautiful Scandinavian-themed dining space. This is a very impressive, spacious dining area using the black and white color palette and some sleek furniture bringing an elegant and harmonious appeal. The hint of wood on the Eiffel dining chairs stands out and helps warm up the space. There’s also just the perfect touch of green and those hanging lights are fantastic as well. 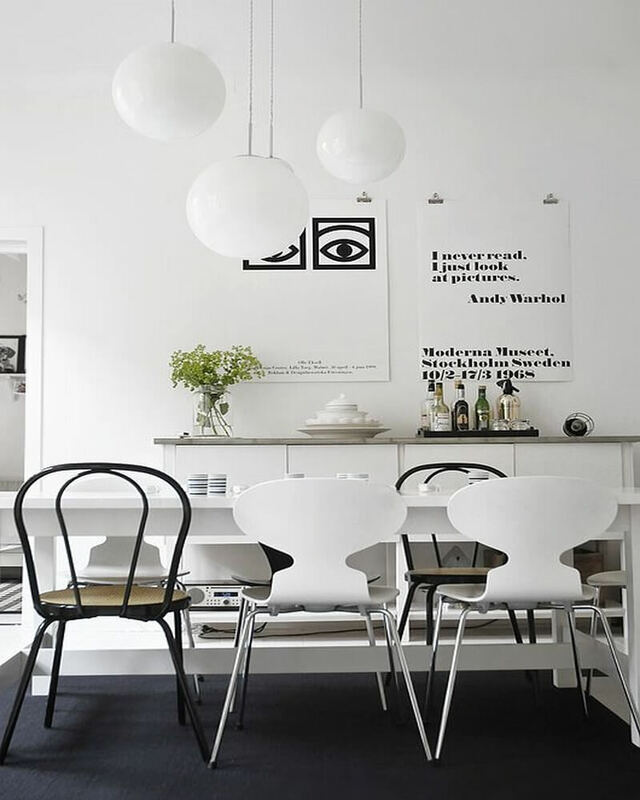 This all-white dining room is complemented with some dramatic black elements. The hint of fur on those Tolix chairs makes the space more dramatic, striking and a bit more comfortable too. There is some absolutely brilliant design here. The big raw wood dining table makes this dining room adorably rustic. In addition you also have the modern white Eiffel chairs adding a bit of an urban moment to the space. 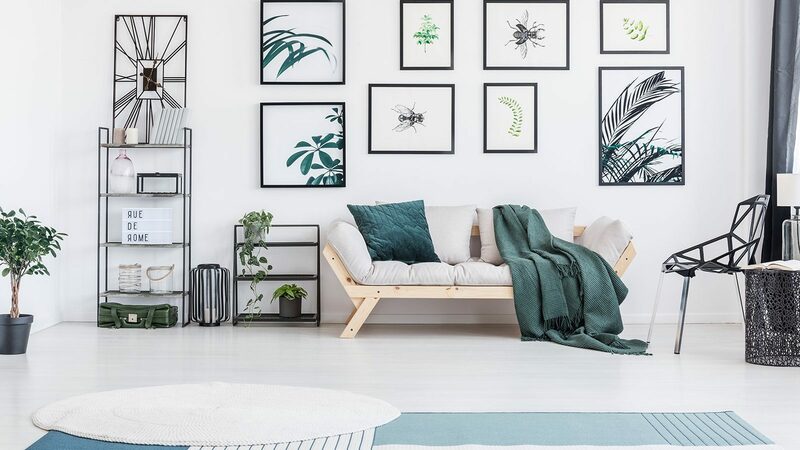 It’s an amazing mix and match for an impressive Scandinavian look. 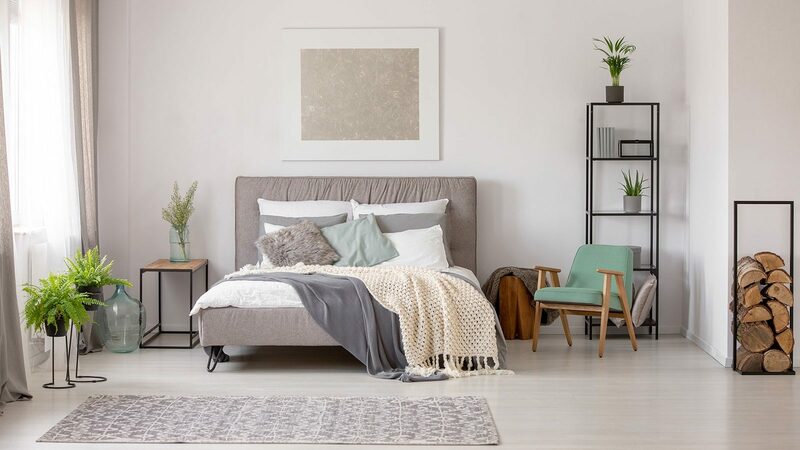 This room is cozy, welcoming, warm and hygge. 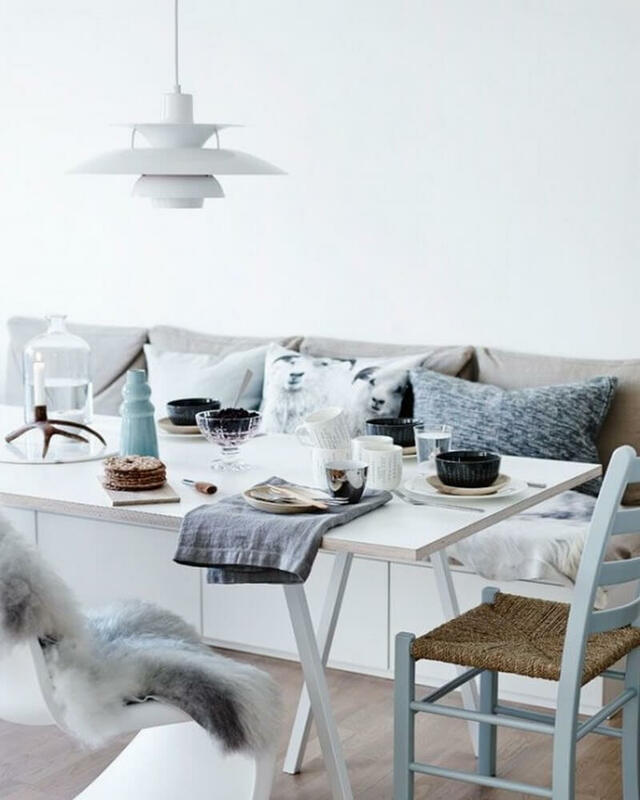 The white and grey color palette is complemented by some soft blue hues and the fur on the chair makes everything look just that more comfortable.